Bring your objects to be valued by JP Humbert Auctioneers Ltd.
Come and see what exciting opportunities we have to offer! New Volunteer roles, opportunities for development and training, meeting current volunteers and opportunity to talk to them about their experiences volunteering at the museum. 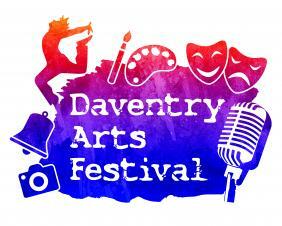 Visitors will also be able to see the exhibition Daventry in 100 Objects. 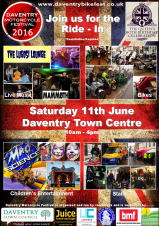 Come and join us in Daventry Town Centre for a family friendly festival celebrating a real variety of motorcycles from vintage to modern. 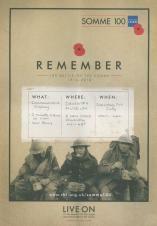 Daventry Museum will be commemorating the Centenary Anniversary of the Battle of the Somme with a commemorative display. Gerry Thompson will be at the museum with his research in to the lives of the 14 soldiers from Daventry who died during the Battle of the Somme. The museum is open from 10am to 4pm. XHTML 1.0 validated. WCAG compliant. Page generated in 0.0717 seconds.